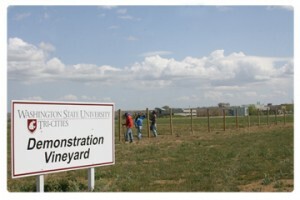 More than 200 wine grape vines were planted in June 2007, to create a training vineyard at Washington State University Tri-Cities. Chancellor Vicky L. Carwein was among the volunteers helping plant the vines. The site is near the intersection of George Washington Way and Sprout Street, about three trees past the WSU Tri-Cities sign. 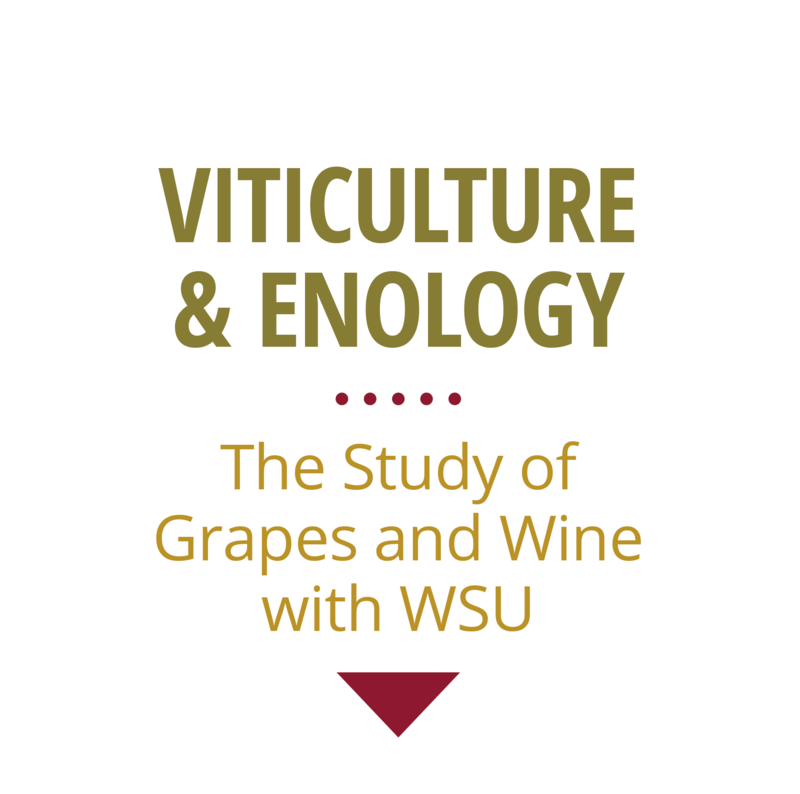 Six different varieties are part of the first block of the vineyard, which will provide hands-on experience for students in the Viticulture and Enology program. The quarter-acre section has about 30 vines each of three red wine varieties (Cabernet Sauvignon, Merlot, and Syrah) and of three white wine varieties (Chardonnay, Gewürtztraminer, and Riesling). They were planted in 12 rows, each about 100 feet long. The first quality grapes should be harvested in fall 2009, Bondada said. Preparation for planting the vines included installing 1,340 feet of irrigation pipe. The training vineyard project has been supported by Irrigation Specialists, Gordon Brothers Family Vineyards, Bookwalter Winery LLC, and Inland Desert Nursery.